Bicycle Touring Around the World: Ciao Bella! Though the day dawned brilliantly, the sun wasn't providing much in the way of warmth. Amidst millions of shimmering dewdrops in our churchyard free-camp, we groggily blew into our chilly hands and dutifully started our morning routine. I rolled up the sleeping mats and packed the sleeping bag while Tyler tore the tent down around me and put everything else in the bikes. Tyler Me too. I'm tired of being cold in the morning. Tyler Let's go to Greece. And that's how it was settled. 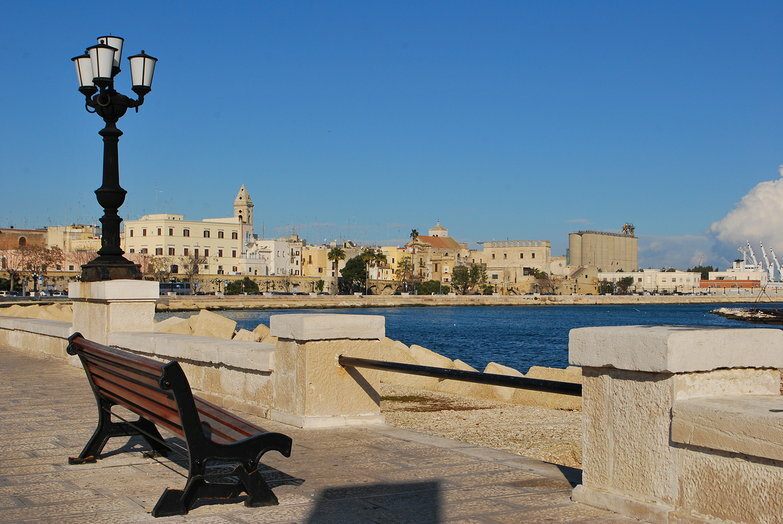 Though we had been toying with the idea of cycling south to catch a ferry from Brindisi instead of Bari (thus prolonging our time in Italy, if only for a day or two) we decided to go to Greece tonight and spend the day in the port city of Bari. One of my favorite parts about our trip is having the flexibility to make spontaneous decisions like this. After a breakfast of leftover cornmeal pancakes, we rode eight short kilometers into the city of Bari: large, rough around the edges, and busy. Tyler recorded some of the traffic heading downtown. We think everyone needs to slow down and relax a bit. 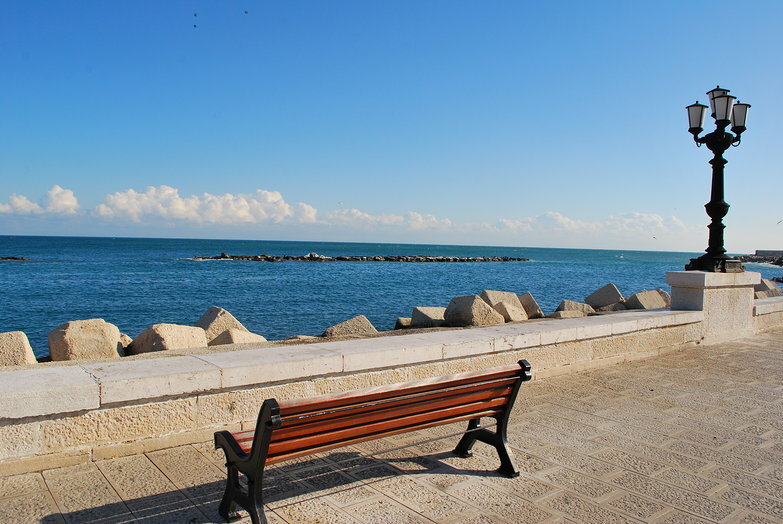 Though the outskirts of Bari were noisy and unattractive, there was a beautiful seaside downtown. As we wheeled our bikes around in search of somewhere to spend the afternoon, I made a point to take in as much as I could: things like park benches overlooking the ocean, gnarly old trees lining the sidewalk, and how particular cobbles wobbled, making hollow noises as they shifted beneath my steps. All of my wistful observation briefly made Tyler a little frustrated because apparently I wasn't walking in a straight line, and the two of us had successfully clogged the entire sidewalk in a wonky circus parade of bicycles and belongings. Ah well, I was a little distracted. We spent the rest of the day in a cafe, where we didn't quite have enough internet signal to be productive, and it wasn't quite warm enough to feel comfortable. Soon we packed up, stopped at a shop for a last Italian picnic of real Parmegiano Reggiano, Salami Milano, and Speck, and made our way to the ferry port. As we ate outside, looking out at the port, we observed two stereotypical male backpackers digging into pre-packaged sandwiches and guzzling down a few cans of coke. If they only knew what they were missing! Now we board the ferry. Tomorrow morning when we wake up, we'll be cruising around the Greek isles! 2011 - Cave Hunting Again: Success! I know that when we eventually cycle Italy that I'm going to leave about 30lbs heavier due to all the amazing food! Thanks for all the detailed pictures and little receipies of all the different foods!